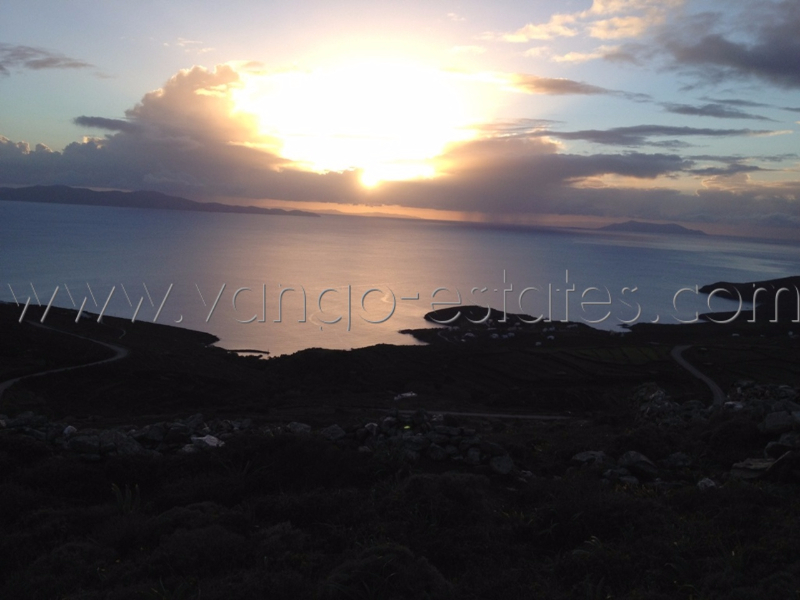 Ideally located, close to Tinos town, villages and beaches, this wind protected field facing the Aegean and Syros island responds to several key points such as the ability to built a property, renovate the old cells (small Tinian farming houses), renovate the dovecote, being in a wind protected area and enjoy a 180 degrees sea view. The plot has an access from two different roads, it shape is ideal for building a villa or a house. Electricity is adjacent to the plot. Total surface 7280 sqm.